An electrical power fault can be one of the most inconvenient and dangerous incidences to occur in your home. If you are currently experiencing ongoing electrical faults at your property you should seek professional assistance from E J Lack Electrical. Faults in electrical systems do not always just happen overnight, but instead develop over a period of time. If left unattended electrical power faults can be very hazardous to your family and property. An electrical fault is an irregularity in your electrical system, which is often caused by equipment failures such as a circuit breaking or broken power points and wires, human mistakes and environmental circumstances such as harsh winds, rain or fires. These faults can commonly cause changes in the electric flow as well as damage to your property. It is always better to trust a qualified electrical professional to fix your power fault, so that your home and family remain safe. 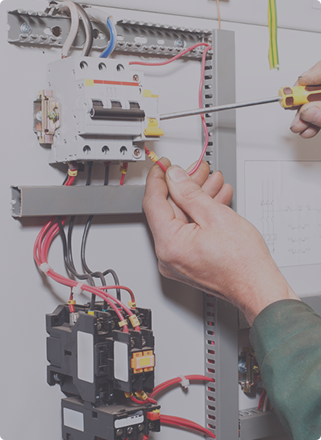 At E J Lack Electrical, we will endeavor to find the best solution to your electrical power fault with the greatest care for your home or business. Our electricians will analyse the electrical power fault thoroughly before providing you with a preventative solution to the problem. Melbourne homeowners trust E J Lack Electrical with all their electrical power fault needs. We also provide Emergency Light, LED Downlight and Switchboard Upgrade through their experienced electricians in Kew, Camberwell, Malevern, Balwyn and Brighton.